Three Rivers Press (CA), 9781101904442, 32pp. Dan Zevin is a Thurber Prize-winning humorist. Two of his books, "Dan Gets a Minivan"and"The Day I Turned Uncool," were optioned by Adam Sandler, and the latter is now being developed for NBCby Jeffrey Katzenberg, Seth Grahame-Smith, and Lauren Rogen. Dan has beenan award-winning humor columnist for the"New York Times," a comic commentator for NPR, and a contributor to print ordigital editionsof"The New Yorker," "McSweeney s," "Rolling Stone," "Salon," the"L.A. Times," "Real Simple, "and"Parents," among others. 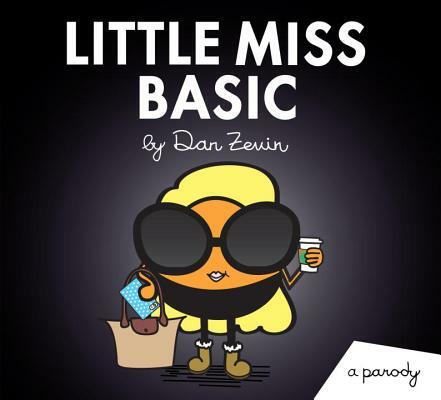 His latest project is a series of picture book parodies featuring adorably annoying adults, including"Mr. Selfie, Little Miss Overshare, Mr. Humblebrag, " and"Little Miss Basic.""